let the team at Envision help you get started putting the pieces of your technology puzzle together. 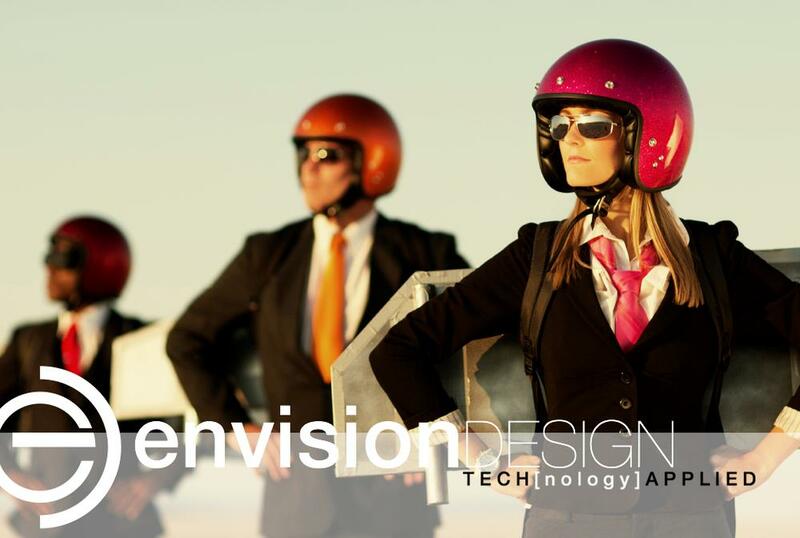 We are thrilled you are considering Envision as your technology consulting partner. As always, our initial consultation with you is free of charge. We have a simple three step process to allow us to get started partnering with you and get you setup as a new client. The entire process can be completed online in just a few minutes. STEP ONE... fill out some "digital paper work". Please fill out the new client information form and our new client survey so that we can better understand your business and better serve your needs. STEP TWO... schedule a consultation . Your initial consultation with Envision is always free. Please call or use the contact form to schedule a meeting with someone from our team. STEP THREE... accept proposal and sign consulting agreement. You will receive a formal quote from Envision via www.freshbooks.com and will be able to review, accept, and pay online. Accept the proposal and sign our standard consulting agreement. That's it.... easy as 1, 2, 3. We appreciate the opportunity and are looking forward to working with you. As always, please contact us if you have any questions.